Saint Nicholas, orphaned as a young child, lived in Turkey in the 4th Century. Unlike many orphans, he had a large inheritance from his parents and used this to help others, especially children. There was a poor parishioner that had three daughters with no dowry. The father had planned to sell them into prostitution. Legend has it that when Saint Nicholas found out about this he took 3 bags of gold and dropped them down the chimney. The girls had their stockings by the fire to dry and the bags of gold landed in them. Today, these bags of gold are symbolized by oranges in your stocking. I came to Addis a few days early to get some paper work done to exit the country. While waiting for the paper work, I had some time. Thanks to your generous and faithful giving, I also had some money. I hope that you all find this a worthy cause! With your money I bought 300 kilos, 660 pounds, of oranges for Mother Teresa’s Orphanage in Addis. The Orphanage is a home for children that are HIV positive. 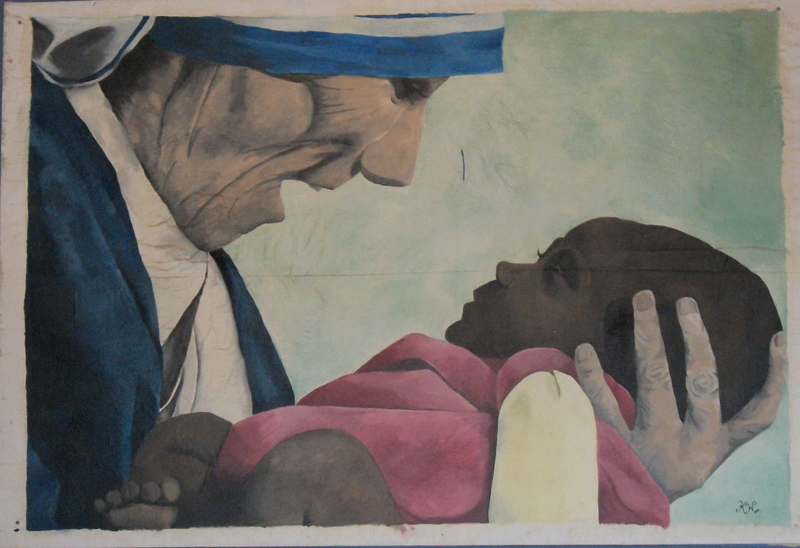 It was started by Missionaries of Charity Sisters, which first came to Ethiopia in 1973. At that time it was a home for the dying and destitute. Later, they opened an orphanage that was specific to HIV. In 2005, treatment for HIV was introduced to the orphanage. Suddenly, they had a new “problem”, the children were now surviving and doing well. Over the years with advancement in treatment (ARVs), the focus has turned to keeping the kids with their families and trying to decrease the stigma of HIV/AIDS. The orphanage had about 450 kids. Now, there are just over 200 kids. They have stopped taking new kids because of the change in focus. The decrease in the number of kids is because they have graduated from the orphanage and are out living in the community (>18 years old) or have been transferred to other orphanages. They have built a school that is for the children in the community and the orphanage. The school is trying to bridge the gap between those with and without HIV. This home of destitute and dying has turned into a home of thriving children. 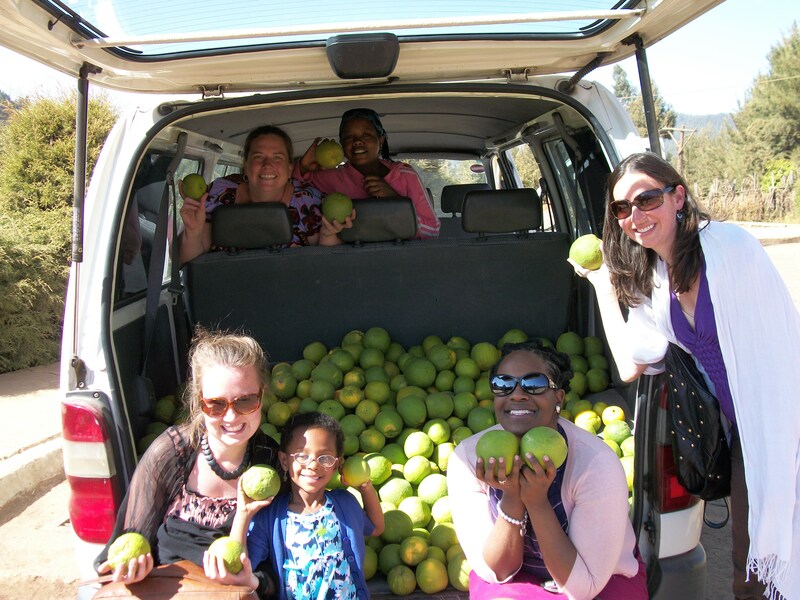 This Saturday they will be celebrating Christmas and the kids will all have oranges. Thank you for being Saint Nicholas! What a great gift you have given these kids. Have a great New Year Steph. Lovely! I can’t wait to hear stories in person! Awesome Stephanie. Hope those oranges (or greens) sweetens their day. A link to this post was just forwarded to me from a good friend. I can’t explain the emotion I am feeling after just reading this. We adopted our daughter, now 7 years old, 11 months ago from this MOC orphanage. She lived there from one month of age until we adopted her almost a year ago. When first admitted she was very sick but kept alive by the caring Sisters for a year until ARVs became available and she was able to regain her health. We spent three hours a day for nearly a week getting to know her and a few of the other kids there last November. She speaks very fondly of her friends and caretakers and the thought of them receiving this special treat just makes me so happy! Thank you! I can’t wait to tell my daughter about it tomorrow when she wakes up. I am only publishing anonymously because we have a fairly well-read blog on which we have not disclosed our daughter’s HIV status (although all our family and many close friends know and it has literally been a non-issue). Hi Steph! i’m so enjoying your blog since stumbling here from another. We have a four year old son from Soddo, and he’s been home for just over a year. Needless to say, Ethiopia will forever have a piece of our hearts….